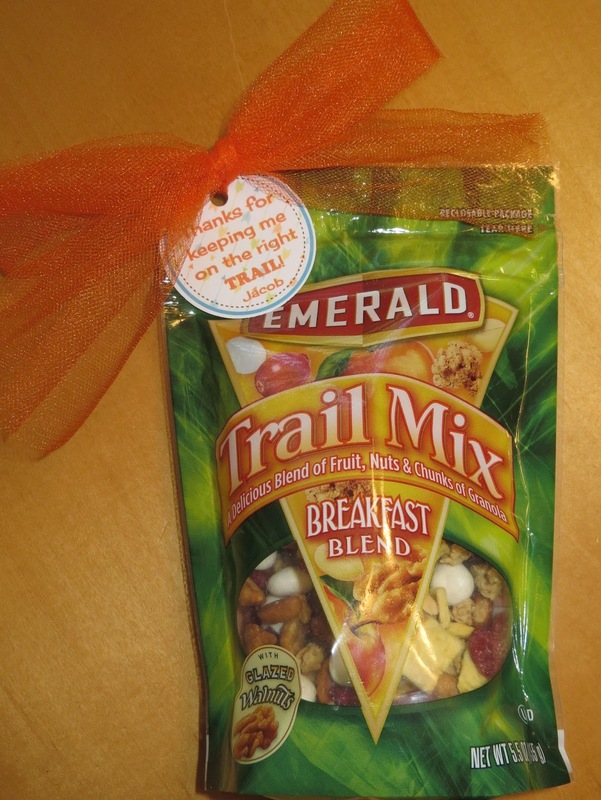 For the healthy snack, I sent in trail mix with a tag that said "Thanks for keeping me on the right TRAIL!" 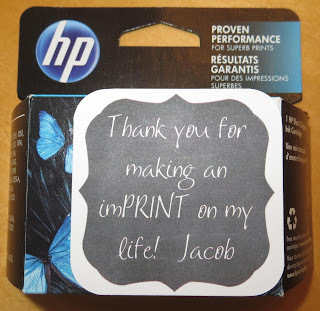 You can download the tag HERE. For an item for the classroom, I sent in an ink cartridge with a tag that said "Thank you for making an imPRINT on my life!" You can download the tag HERE. 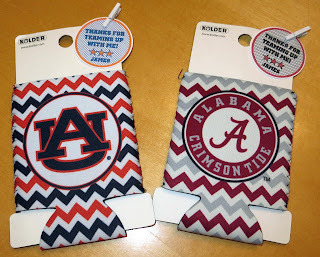 For something from the teacher's like list, I sent in Auburn and Alabama koozies (found at Academy Sports) with a tag that said "Thanks for teaming up with me!" 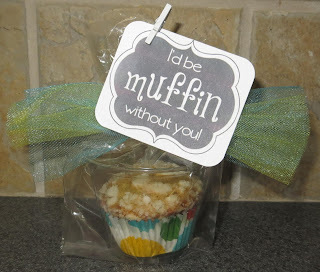 You can download the tag HERE in a variety of colors. For a favorite food, I sent in a blueberry muffin with a tag that said "I'd be muffin without you!" I found these tags HERE. 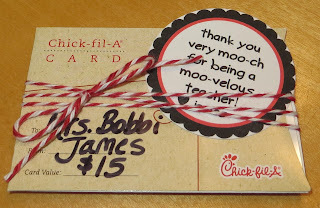 The teachers loved it all and had a great week!